The Remediation Tracker is available for teams with a Remediate subscription. The whole purpose of the Remediation Tracker is to help your team work together to collaborate to fix the Issues you've identified in your Dradis project. 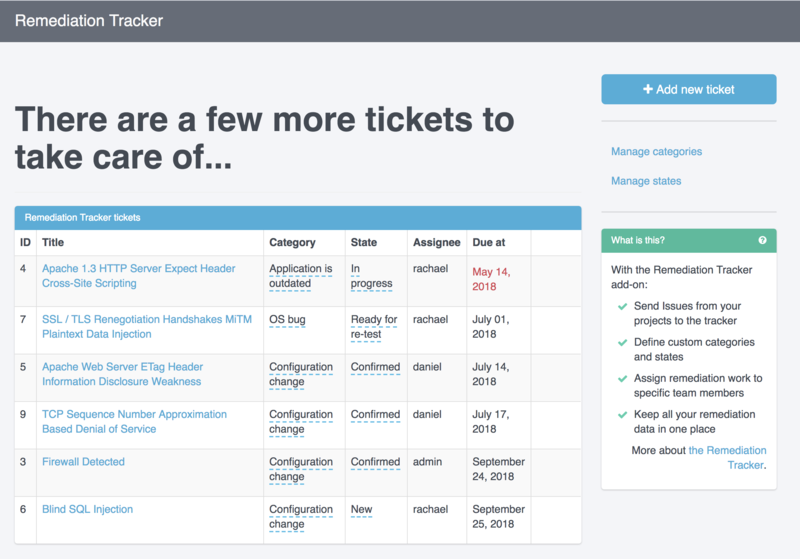 Manually create tickets or send Issues to the Remediation tracker. Use custom states and categories to organize your tickets. Then, use the due dates and assignees to make sure that remediation work is completed on time.